Light: In general, succulents need about 6 hours of light. Though, that said, 6 hours of direct sunlight can scorch or burn the plants. Placing your succulent garden in a south facing window is a great location, but again make sure that it's not receiving too much sunlight. According to blogger Succulents and Sunshine, an east facing window is an ideal location for your succulents. Things to consider, the farther they are away from a window the more the plants will begin to stretch towards the light (which some succulents don't look too great all stretched out). Water: Over watering your succulent is one of the fastest ways to kill you succulents. Here's the scoop; the roots like to be soaked with water but then dry up quickly. So if you keep the soil wet every day your succulents will die quickly from over watering. But simply misting them can also kill them as well, due to them not receiving enough water at their roots. So simply put; when watering give your succulents enough water but allow the soil completely dry out before watering again. Your frequency of watering obviously will depend on the container and the light levels. 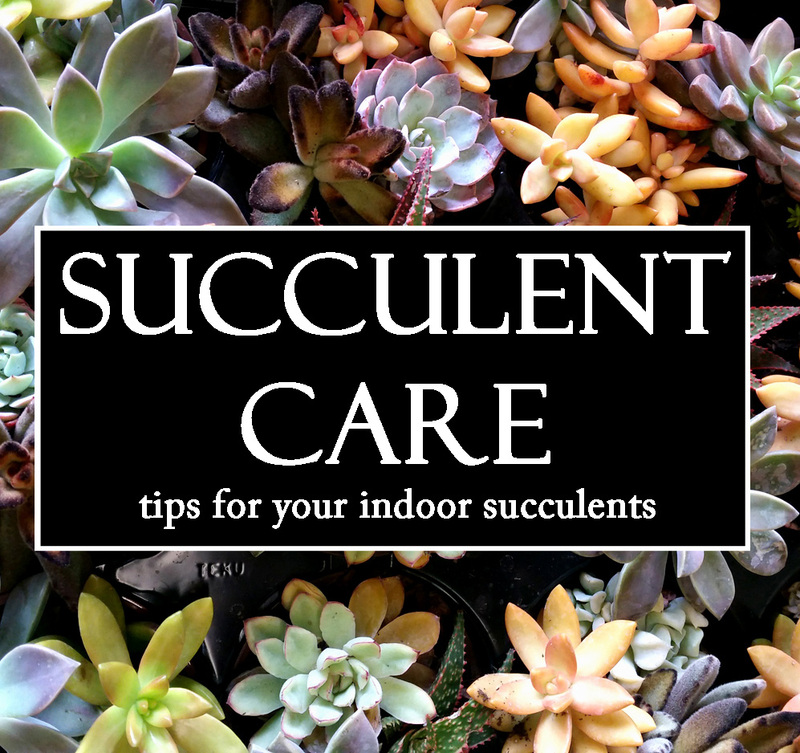 If you are keeping your succulents in direct sun you may find that you need to water more often than if your plants were in less direct light. Temperature: Succulents can handle very hot climates but their ideal temperatures for summers are between 70 and 80 degrees. Come winter during their more 'dormant' period, succulents like to be between 50 and 60 degrees. Bugs: There are 2 common bugs that you may run into; fungus gnats and mealy bug. Generally if you see little flies in your containers you most likely have fungus gnats. This is because the soil is being kept too moist and you are providing a nice home for these gnats to lay eggs. The best way to avoid or solve this problem is to let your soil dry out completely between each watering. Also make sure that your soil is a well draining soil that will mot hold in additional moisture. Secondly, the mealy bug, this bug will appear most likely where the leaves meet the stem. They are a white sticky looking bug. If your succulent gets mealy bug there are 2 different solutions. First mix a bit of dish soap with water in a spray bottle and spray on areas affected. The second method is using rubbing alcohol again you can put this in a spray bottle and spray the plant making sure to also lightly spray the soil as to kill any eggs. Or you can soak a Q-tip in the rubbing alcohol and directly target the bug.